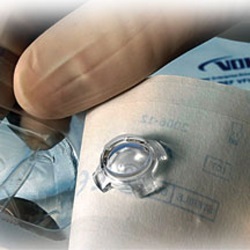 Primarily used for routine direct image vitreoretinal surgery of the central retina. Lens is Direct Image Flat (ACS) with a field of view of 30 degrees and an image magnification of 0.92x. Nonsterile, autoclavable. Sold individually.